Strong to severe thunderstorms will be developing early this afternoon with the severe weather threat further intensifying by mid to late afternoon through evening. Much of our region is either in a Moderate Risk or an Enhanced Risk during this timeframe. All modes of severe weather will be possible, including the threat of potentially active and long track tornadoes. 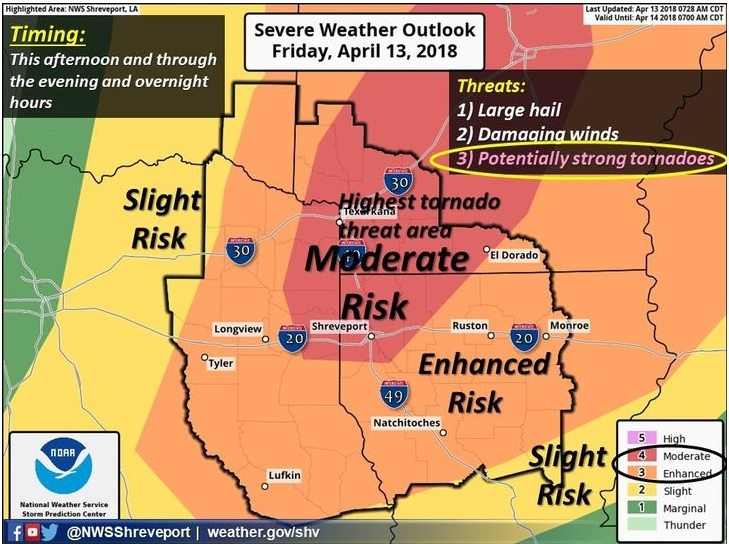 Large hail and damaging winds are also significant threats as well with the possibility of discrete supercells initially during the afternoon, eventually evolving into a linear complex of storms with the first danger of damaging winds later this evening and overnight.